Bowie married his first wife, Mary Angela Barnett on 19 March 1970 at Bromley Register Office in Bromley, London. They had an open marriage. Angela described their union as a marriage of convenience. "We got married so that I could work [to get a permit]. I didn't think it would last and David said, before we got married, 'I'm not really in love with you' and I thought that's probably a good thing," she said. Bowie said about Angela that "living with her is like living with a blow torch." Their son Duncan, born on 30 May 1971, was at first known as Zowie. Bowie and Angela divorced on 8 February 1980 in Switzerland. 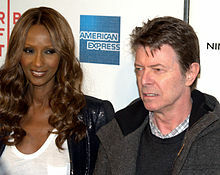 Bowie received custody of their son. After the gag order that was part of their divorce agreement ended, Angela wrote, Backstage Passes: Life on the Wild Side with David Bowie, a memoir of their turbulent marriage. 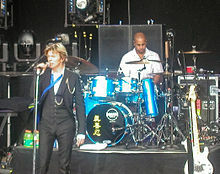 ^ "The Pullman Group – David Bowie Bonds" Archived 31 July 2012 at the Wayback Machine , fetched 15 March 2009. ^ Saner, Emine (17 March 2006). "Angie Bowie: 'Why I gave up my son Zowie'". Evening Standard. Trynka, Paul (2011). Starman: David Bowie – The Definitive Biography. Little, Brown Book Group Limited. 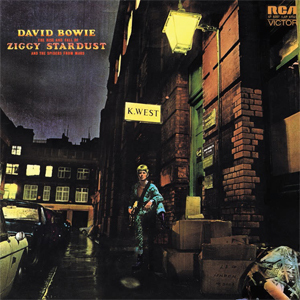 The Rise and Fall of Ziggy Stardust and the Spiders from Mars is the fifth studio album by English musician David Bowie, released on 16 June 1972 in the United Kingdom. It was produced by Bowie and Ken Scott and features contributions from the Spiders from Mars, Bowie's backing band – Mick Ronson, Trevor Bolder and Mick Woodmansey. 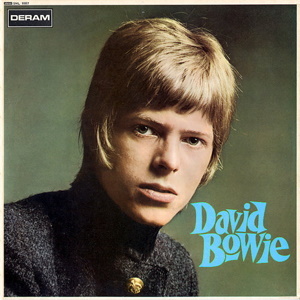 The album was recorded in Trident Studios, London, like his previous album, Hunky Dory. Most of the album was recorded in November 1971 with further sessions in January and early February 1972. 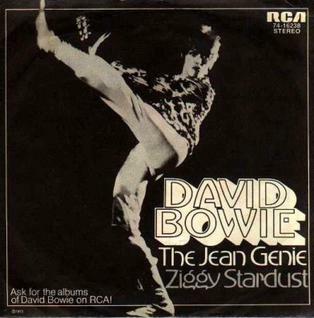 "The Jean Genie" is a song by David Bowie, originally released as a single in November 1972. According to Bowie, it was "a smorgasbord of imagined Americana", with a protagonist inspired by Iggy Pop, and the title being an allusion to author Jean Genet. 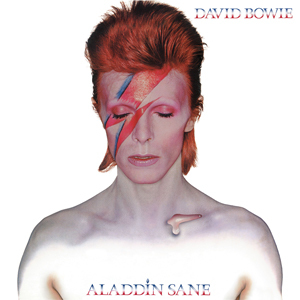 One of Bowie's most famous tracks, it was the lead single for the album Aladdin Sane (1973). Promoted with a film clip featuring Andy Warhol associate Cyrinda Foxe, it peaked at No. 2 on the UK Singles chart. Anthony Edward Visconti is an American record producer, musician and singer. Since the late 1960s, he has worked with an array of performers. 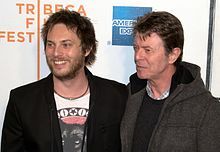 His lengthiest involvement was with David Bowie: intermittently from Bowie's second album in 1969 to the 2016 release Blackstar, Visconti produced and occasionally performed on many of Bowie's albums. Visconti's work on Blackstar was cited in its Grammy Award for Best Engineered Album, Non-Classical and his production of Angelique Kidjo's Djin Djin was cited in its Grammy Award for Best Contemporary World Music Album. 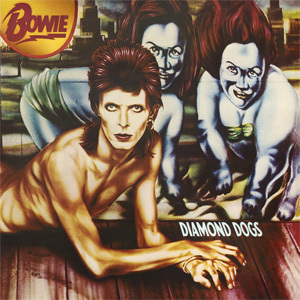 Diamond Dogs is the eighth studio album by the English musician David Bowie, released on 24 May 1974 by RCA Records. Thematically, it was a marriage of the novel Nineteen Eighty-Four by George Orwell and Bowie's own glam-tinged vision of a post-apocalyptic world. 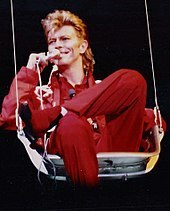 Bowie had wanted to make a theatrical production of Orwell's book and began writing material after completing sessions for his 1973 album Pin Ups, but the author's estate denied the rights. The songs wound up on the second half of Diamond Dogs instead where, as the titles indicated, the Nineteen Eighty-Four theme was prominent. The album is ranked number 995 in All-Time Top 1000 Albums and number 447 in NME's The 500 Greatest Albums of All Time. "Rebel Rebel" is a song by David Bowie, released in 1974 as a single from the album Diamond Dogs. Cited as his most-covered track, it has been described as being effectively Bowie's farewell to the glam rock movement that he had helped pioneer, as well as being a proto-punk track. 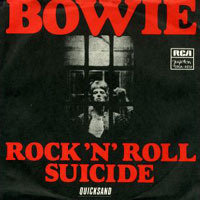 "Rock 'n' Roll Suicide" is a song by David Bowie, originally released as the closing track on the album The Rise and Fall of Ziggy Stardust and the Spiders from Mars on 16 June 1972. It detailed Ziggy's final collapse as an old, washed-up rock star and, as such, was also the closing number of the Ziggy Stardust live show. In April 1974 RCA issued it as a single. 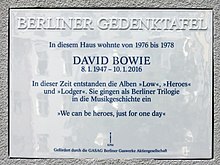 The Berlin Trilogy, or Berlin Triptych, consists of three consecutively released studio albums by English singer and songwriter David Bowie: Low (1977), "Heroes" (1977) and Lodger (1979). 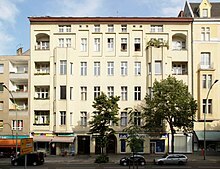 The albums were recorded after Bowie took up residence in West Berlin in late 1976, and saw him experiment with elements of electronic, krautrock, ambient, and world music in collaboration with American producer Tony Visconti and English musician Brian Eno. "Ziggy Stardust" is a song written and recorded by David Bowie for his 1972 concept album The Rise and Fall of Ziggy Stardust and the Spiders from Mars. 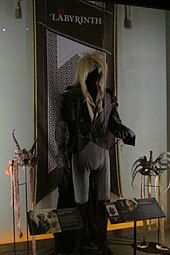 The song describes Bowie's alter ego Ziggy Stardust, a rock star who acts as a messenger for extraterrestrial beings. In 2010 the song ranked at No. 282 on Rolling Stone's list of "The 500 Greatest Songs of All Time". 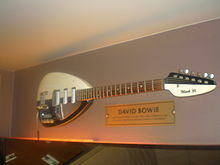 The song is one of four of Bowie's songs included in The Rock and Roll Hall of Fame's 500 Songs that Shaped Rock and Roll. 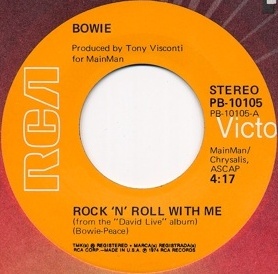 "Rock 'n' Roll With Me" is a power ballad written by David Bowie and Warren Peace and recorded in January 1974 that first appeared on Bowie's Diamond Dogs album, supposedly to address the artist's complex relation with his fans. 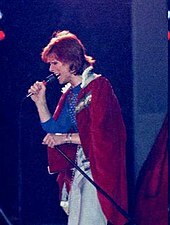 A version recorded during the Diamond Dogs tour in July 1974 was released on the album David Live. 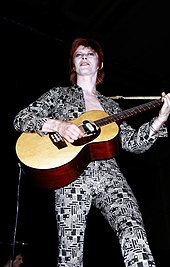 Ziggy Stardust and the Spiders from Mars is a 1973 documentary and concert film by D. A. Pennebaker. It features David Bowie and his backing group The Spiders from Mars performing at the Hammersmith Odeon in London on 3 July 1973. 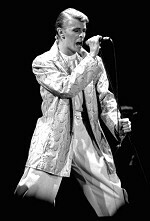 At this show, Bowie made the sudden surprise announcement that the show would be "the last show that we'll ever do", later understood to mean that he was retiring his Ziggy Stardust persona. "★" is a song by English rock musician David Bowie. It was released as the lead single from his twenty-fifth and final studio album of the same name on 19 November 2015. "★" peaked at number 61 on the UK Singles Chart, number 70 on the French Singles Chart and number 78 on the Billboard Hot 100. "★" received both the Grammy Award for Best Rock Song and the Grammy Award for Best Rock Performance at the 59th Grammy Awards. At 9:57, it is the longest song to enter the Billboard Hot 100 charts. ★ is the twenty-fifth and final studio album by English musician David Bowie. It was released worldwide through ISO, RCA, Columbia, and Sony on 8 January 2016, coinciding with Bowie's 69th birthday. 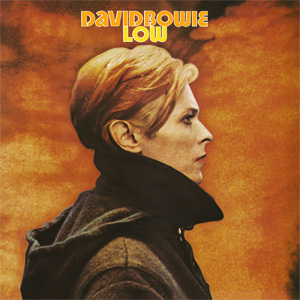 The album was largely recorded in secret between The Magic Shop and Human Worldwide Studios in New York City with Bowie's longtime co-producer Tony Visconti and a group of local jazz musicians. 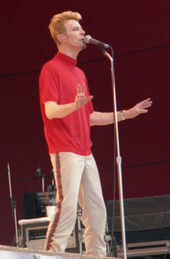 "I Can't Give Everything Away" is a song by English musician David Bowie. It is the seventh and final track on his twenty-fifth studio album, ★ (2016), and was released posthumously as the album's third and final single on 6 April 2016. 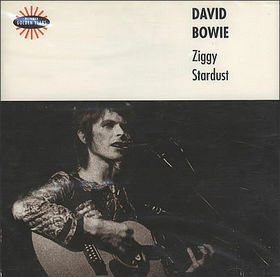 The track was written by David Bowie and was produced by both he and Tony Visconti. On 10 January 2016, English singer, songwriter and actor David Bowie died at his Lafayette Street home in New York City, having suffered from liver cancer for 18 months. 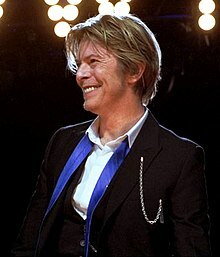 He died two days after the release of his twenty-fifth studio album, Blackstar, which coincided with his 69th birthday. 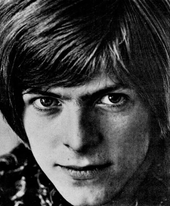 "'Tis a Pity She Was a Whore" is a song by English musician David Bowie. It was originally released as a digital non-album single on 10 November 2014 and was later featured as the B-side for Bowie's next single, "Sue ", which was released exactly one week later. A re-recorded version of the song appears as the second track on Bowie's 25th and final studio album, ★ (2016). 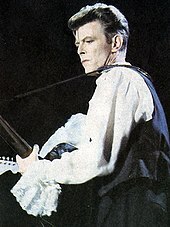 "'Tis a Pity She Was a Whore" charted in multiple countries, including Bowie's home country of the UK, where it peaked at number 107.